Originally opened in 1948 and involved in a recent overhaul and restoration since very early 2009, the Triangle Diner is just sitting there. For the longest time it was an eyesore of a construction zone, which surprises me because it’s extremely visible to the hundreds of thousands of visitors at the annual Shenandoah Apple Blossom Festival. It’d be cool if it were to open like their Facebook page has been saying since very early 2010. Can’t wait until it’s back – it’ll make for some great images. And I suppose it’d be a neat place to eat. 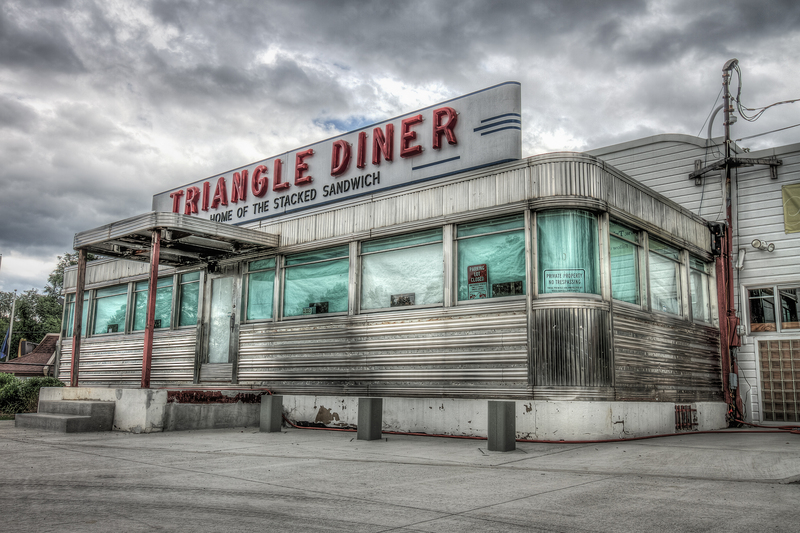 The Triangle Diner near Handley High School in Winchester, VA. | Order a print of this image.